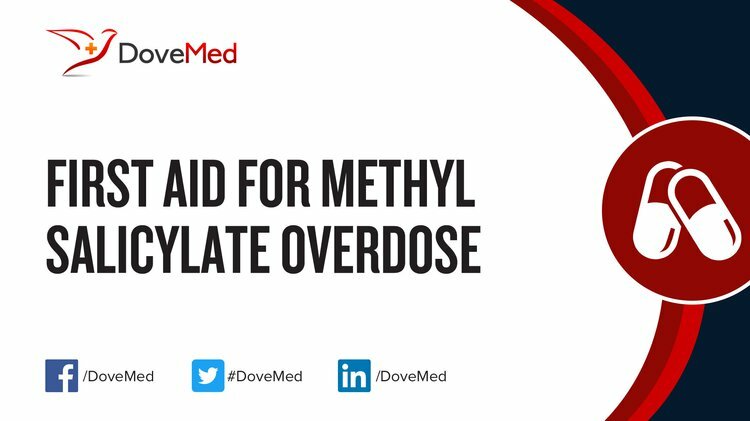 Methyl Salicylate Overdose is the accidental or intentional intake of the compound in dosage higher than recommended values. In pure forms, the compound can be highly toxic. What is Methyl Salicylate Overdose? What are the Causes of Methyl Salicylate Overdose? What are the Signs and Symptoms of Methyl Salicylate Overdose? The signs and symptoms of Methyl Salicylate Overdose can vary from one individual to another. It may be mild in some and severe in others. Several systems of the body, such as the digestive system, nervous system, vascular system, respiratory system, and ENT may be affected. How is First Aid administered for Methyl Salicylate Overdose? Who should administer First Aid for Methyl Salicylate Overdose? First aid for Methyl Salicylate Overdose is administered by healthcare professionals. What is the Prognosis of Methyl Salicylate Overdose? How can Methyl Salicylate Overdose be Prevented? Muniandy, R. K., & Sinnathamby, V. (2012). Salicylate toxicity from ingestion of traditional massage oil. BMJ case reports, 2012, bcr2012006562. Peniston, J. H. (2012). A review of pharmacotherapy for chronic low back pain with considerations for sports medicine. The Physician and sportsmedicine, 40(4), 21-32. Kulig, K., & Ling, L. J. (2010). General approach to the poisoned patient. Rosen’s Emergency Medicine: Concepts and Clinical Practice, 1942-1947. Wong, A., Mac, K., Aneman, A., Wong, J., & Chan, B. S. (2016). Modern Intermittent Haemodialysis (IHD) is an effective method of removing salicylate in chronic topical salicylate toxicity. Journal of Medical Toxicology, 12(1), 130-133. Barrueto, F., Gattu, R., & Mazer-Amirshahi, M. (2013). Updates in the general approach to the pediatric poisoned patient. Pediatric Clinics of North America, 60(5), 1203-1220. Lachenmeier, D. W., Monakhova, Y. B., Markova, M., Kuballa, T., & Rehm, J. (2013). What happens if people start drinking mouthwash as surrogate alcohol? A quantitative risk assessment. Food and chemical toxicology, 51, 173-178. Rauber-Lüthy, C., & Kupferschmidt, H. (2010). Household chemicals: management of intoxication and antidotes. In Molecular, Clinical and Environmental Toxicology (pp. 339-363). Birkhäuser Basel.